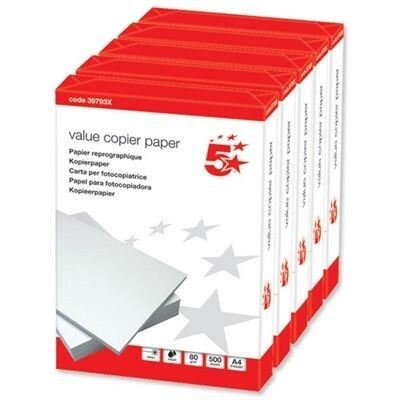 5 Reams Box (2,500 sheets) of high quality branded multipurpose A4 75gsm White Copier Printer Paper. 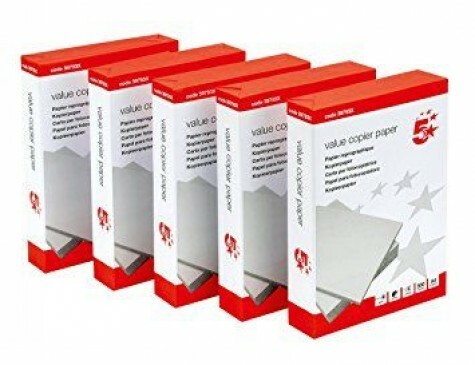 Suitable for all laser and inkjet printers as well as copier and fax machines. 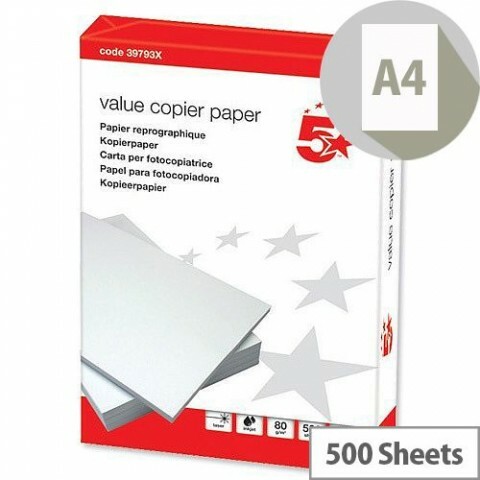 Our A4 paper come with core thick grade and provides highly professional printing in every use.